Monroe is a city in Union County, North Carolina, United States. The population was 26,228 at the 2000 census. It is the seat of government of Union County  and is also part of the Charlotte-Gastonia-Rock Hill, NC-SC Metropolitan area. Monroe is located at 34°59′20″N 80°32′59″W﻿ / ﻿34.98889, -80.54972 (34.988760, -80.549792). Charlotte-Monroe Executive Airport (EQY) is located five miles to the northwest of Monroe. According to the United States Census Bureau, the city has a total area of 24.9 square miles (64.4 km²), of which, 24.6 square miles (63.6 km²) of it is land and 0.3 square miles (0.7 km²) of it (1.13%) is water. Monroe was home to the Starlite Speedway in the 1960s to 70's. On May 13, 1966 the 1/2 mile dirt track hosted NASCAR's Independent 250. Darel Dieringer won the race. Monroe is also the hometown of Jesse Helms, the late U.S. Senator from North Carolina who served five terms (1973–2003) in the Senate. Helms was a prominent (and often controversial) national leader of the Religious Right wing of the Republican Party, and played a key role in helping Ronald Reagan become President of the United States. Helms's father served as Police and Fire Chief of Monroe for many years. The Jesse Helms Center is in neighboring Wingate, NC. Monroe also became a focal point during the Civil Rights Movement. In 1958, local NAACP Chapter President Robert F. Williams defended a nine-year-old African-American boy who had been kissed by a white girl in an incident known as the Kissing Case. A second African-American boy, aged seven, was also convicted and sentenced to live in a juvenile reformatory until he was 21 for simply witnessing the act. In 1961, Williams was accused of kidnapping an elderly white couple, when he sheltered them in his house during a very explosive situation of high racial tensions. Williams fled and went into exile in Cuba and in the People's Republic of China before returning to the United States. As of the census of 2000, there were 26,228 people, 9,029 households, and 6,392 families residing in the city. The population density was 1,067.5 people per square mile (412.2/km²). There were 9,621 housing units at an average density of 391.6 per square mile (151.2/km²). The racial makeup of the city was 60.12% White, 27.78% African American, 0.44% Native American, 0.65% Asian, 0.03% Pacific Islander, 9.37% from other races, and 1.60% from two or more races. Hispanic or Latino of any race were 21.39% of the population. There were 9,029 households out of which 33.7% had children under the age of 18 living with them, 49.0% were married couples living together, 15.9% had a female householder with no husband present, and 29.2% were non-families. 23.3% of all households were made up of individuals and 8.3% had someone living alone who was 65 years of age or older. The average household size was 2.83 and the average family size was 3.27. In the city the population was spread out with 26.9% under the age of 18, 11.6% from 18 to 24, 32.6% from 25 to 44, 18.0% from 45 to 64, and 10.8% who were 65 years of age or older. The median age was 31 years. For every 100 females there were 102.5 males. For every 100 females age 18 and over, there were 101.1 males. The median income for a household in the city was $40,457, and the median income for a family was $44,953. Males had a median income of $30,265 versus $22,889 for females. The per capita income for the city was $17,970. About 11.7% of families and 17.2% of the population were below the poverty line, including 28.7% of those under age 18 and 12.8% of those age 65 or over. The local newspaper is The Enquirer-Journal, which is published six days a week (every day except Sunday). 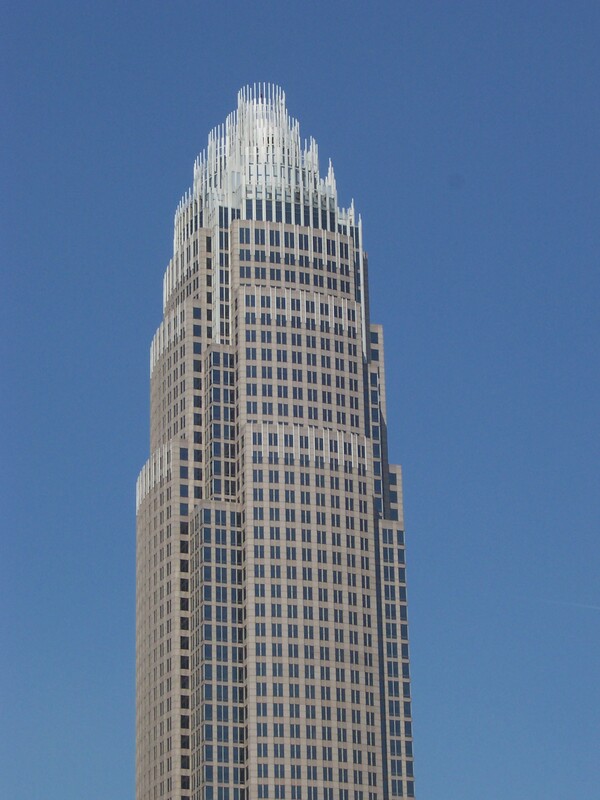 All local television news stations are from the Charlotte media market. The local radio station is WIXE 1190 AM radio "The Mighty 1190" WIXE. Serving Union and surrounding counties with Music, News, Sports, & local information. Wikisource has the text of a 1920 Encyclopedia Americana article about Monroe, N. C.. This page uses content from the English language Wikipedia. The original content was at Monroe, North Carolina. The list of authors can be seen in the page history. As with this Familypedia wiki, the content of Wikipedia is available under the Creative Commons License.